“`She made her movie debut opposite Warren Beatty in Shampoo. The actress co-starred in The Blues Brothers, When Harry Met Sally, Hannah and Her Sisters, Charlie’s Angels, Austin Powers, and Scream 3. Last year, Carrie reprised her recurring part as Leia in Star Wars: The Force Awakens and Episode VIII (2017). “`Her one-woman show, Wishful Drinking, which she’s performed across the country since 2006, was adapted into a book, made its way to Broadway in 2009, and captured for HBO in 2010. Carrie wasn’t coy about revealing details of her mental illness, drug addiction, or failed relationships. In fact, she was relentless in efforts to de-stigmatize mental health issues. “`She co-hosted The Essentials on TCM with Robert Osborne in 2007. Harvard College gave Fisher its annual Outstanding Lifetime Achievement Award in Cultural Humanism. Her memoir, The Princess Diarist, was released in November 2016. 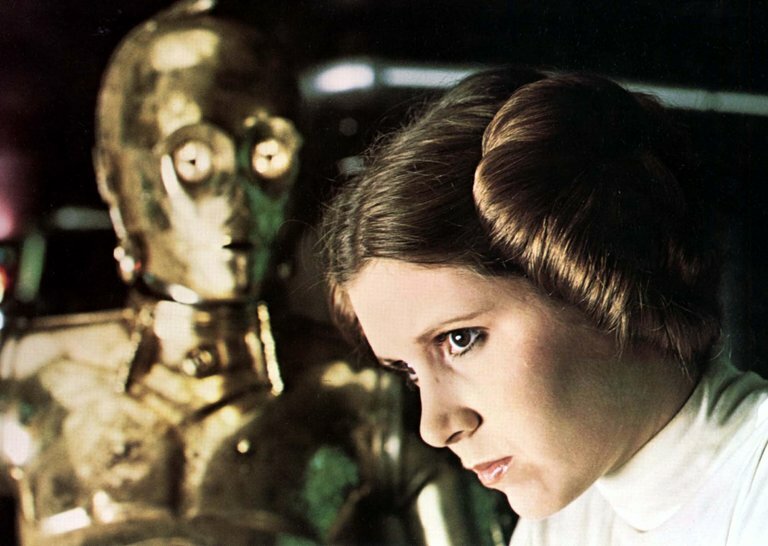 The book is based on the diaries she kept during filming of the original Star Wars trilogy in the late 1970s and early 1980s. A new documentary, Bright Lights: Starring Carrie Fisher and Debbie Reynolds, will screen at the upcoming Palm Springs Film Festival; it first debuted at Cannes Film Festival in May; and was set to air on HBO in early 2017. But now, it will air on January 7th. “`With a thriving career left in tact, Carrie Fisher was 60. This entry was posted on Tuesday, December 27th, 2016 at 12:58 pm	and is filed under Blog by Manny Pacheco. You can follow any comments to this post through the RSS 2.0 feed. Responses are currently closed, but you can trackback from your own site.